While I am busy creating some new content for my website, I thought this might be a perfect opportunity to share with you one of my earlier posts from this same time of year back in 2015. The readaloud that I referred to back then was Mabela the Clever, but since this month’s readaloud in 2017 is—another African folktale—Mufaro’s Beautiful Daughters, which celebrates the power of kindness. Much of what I say about cleverness, wisdom, and kindness is equally relevant to this story too. Earlier this week, Christians across the world celebrated the Feast of the Epiphany—when God was made manifest in the form of the Christ child to the Magi. There are numerous spiritual themes to ponder here, but as I begin a new year of storytelling with a lovely African folktale that celebrates the value of “cleverness” or “wisdom,” I think there is a connection to this Epiphany feast. Traditionally, we link the Epiphany to the image of three wise men or kings following a star that leads them to the stable in Bethlehem. But there are many sources that maintain that these Magi were not just three men, but that they were simply people, wise people, sages. And so, one can even infer that perhaps there were women among them (imagine that—wise women! ), and that an important element of this story is that these people were foreigners, and yet they saw what no one in Bethlehem area had seen—that this infant in a manger was indeed the “manifestation” of divinity. In other words, the wise people from ANOTHER LAND recognized the treasure in their midst where no one else did. When I talk to children about the writing process, I like to explain that when I came to America as a foreigner, I was able to see things about this culture that people within the culture could not. Just as when my husband (an American) comes to visit my native Scotland and observes certain things about that culture, which I, as a native, cannot see. 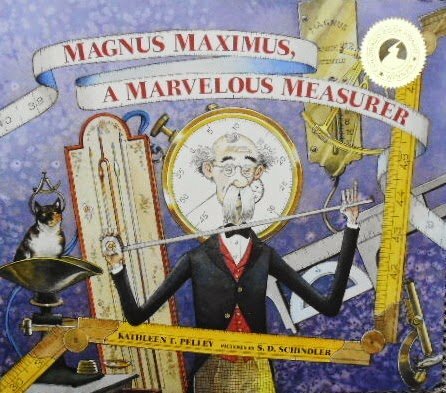 Indeed, the inspiration for my book Magnus Maximus stemmed from my experience of coming to America and feeling as if I had landed in the Guinness Book of World Records, and so I wrote this story about an old man who is a consummate measurer. William Trevor, renowned Irish author, mentions this same phenomenon in one of his rare interviews. He explains that he was one of those rare breeds—a Protestant who grew up in the predominantly Catholic country of the south of Ireland, and so he said that for much of his life, he always felt “other,” as if he was looking through a window into a different world. This “otherness,” he maintained, was what formed his writing roots—that is what writers strive to do all the time—look and observe and see what others do not or cannot. Being a foreigner, coming from another land, as the Magi did, can help us see differently. So too, folktales—stories from other lands—can I believe, help us see differently, can give us a deeper perspective about life and about ourselves. 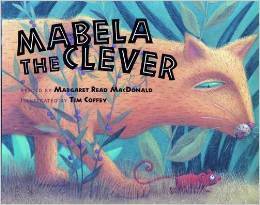 Mabela the Clever is a tale from the Limba people of Sierra Leone, about a feisty female mouse, who uses the cleverness she learned from her father to outwit a sneaky cat. The Limba people maintain that if someone is clever it is because someone has taught them their cleverness. And what exactly was this sage advice that Mabela’s father gave her? “When you are out and about…. IF YOU HAVE TO MOVE—MOVE FAST! This tale from another land, from a foreign place just might help us “see” something that we have never noticed before.